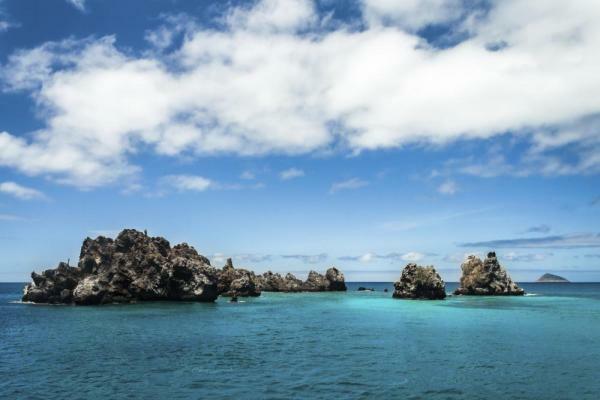 Experience the wonders of the Western & Central Galapagos Islands while on this amazing 8-day cruise. This paradisiac archipelago is made up of rocky islets which are home to many spectacular species of Galapagos wildlife including penguins, the Galapagos Hawk, Nazca Boobies, finches, flightless cormorants, and warblers. Hike through special forests which allow good wildlife watching as well as geology and many spectacular spots for taking unforgettable photos. 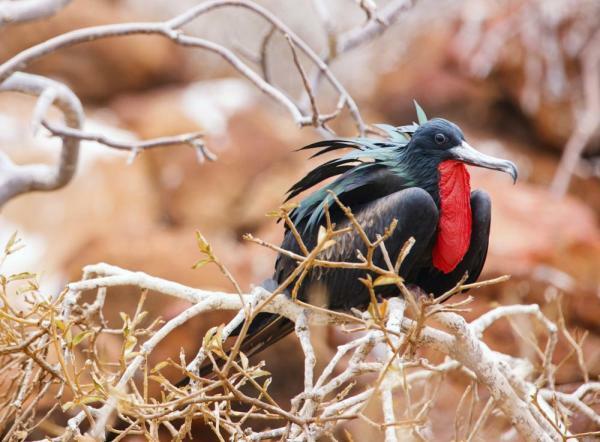 There is also a chance of passing many nesting birds including Red-footed and Nazca Boobies, Frigate Birds, gulls and more. Cool off with a swim or some snorkeling with fish, sea lions and turtles. Arrival to Baltra Island Airpot and transfer to the M/C Endemic. The name “bachas” is derived from the English word ‘barges’ and dates from World War II when the USA had a military base in the Galapagos Islands. Bachas is a lovely beach, great for swimming or some easy snorkeling offshore. Shorebirds like whimbrels and stilts are common, as are sea lions and Sally Lightfoot crabs. A brackish lagoon popular with flamingos is a short walk from the main beach. In the morning, visit Darwin Bay, which is the only sandy beach found in the caldera on Genovesa. Colonies of the Great Frigates are found along the beach. Male exhibit their red balloon pouch to females for a hope of a match. Red-footed boobies nest in the trees in contrast to the other two booby species which do so on the ground. In the afternoon, go to El Barranco (Prince Philip’s Steps), a carved out of stone stair. 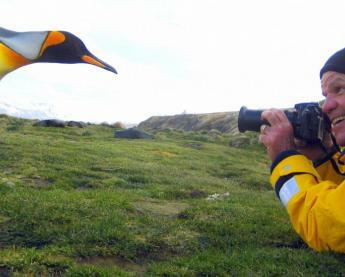 This leads you to a wide plateau, where you can observe large colonies of masked boobies, frigate birds, storm petrels and ducks. During this easy stroll, you cross a small Scalesia forest, the habitat of the short-eared owl. The same path will lead you back to your boat. The “twins” of the leafy highlands of Santa Cruz island are two sinkholes created long ago by underground lava tunnels which collapsed. A shady trail covers the short distance between the main road and the two sinkholes. Learn about the special forest found in and around the sinkholes: it is home to many Scalesia pedunculate trees, endemic to Galapagos. The Twins visitor site is a good place to see finches, Vermilion Flycatchers and mockingbirds. Sullivan Bay features a sandy shore surrounded by lava fields. The lava is relatively recent, being only about 100 years old. Observe the hardy “pioneer” plants: specialized flora which is the first to colonize a lava field. 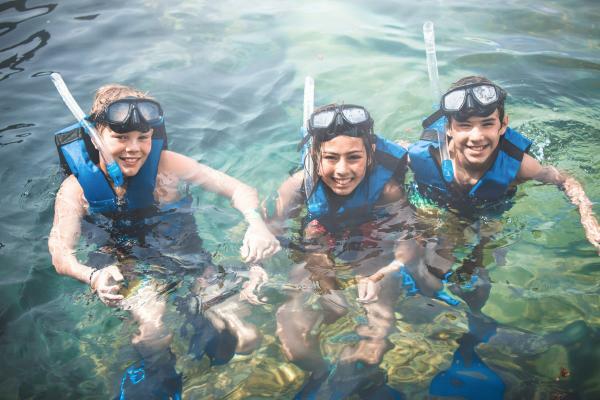 After a hike, enjoy a refreshing swim with the chance to do some snorkeling! Sierra Negra (“Black Mountain”) Volcano was active as recently as 2005 and it is possible to see very recent lava flows and fumaroles. The visit includes the main volcanic caldera and several smaller craters at the Chico Volcano site. There are not many animals in the barren heights of the volcano, but hikers are rewarded with an unforgettable lesson in volcanic geology and a great view of Isabela and Fernandina Islands! Island’s wetlands are home to abundant bird life, including flamingos, stilts, whimbrels, gallinules, finches, pintail ducks, brown pelicans and more. Marine iguanas creep through the marshes as well, and an occasional giant tortoise makes an appearance. Part of the trail goes up Orchilla hill, which offers a nice view of the nearby town of Puerto Villamil. The Wall of Tears is a wide, high stone wall built not far from Puerto Villamil. A visit to the Wall of Tears offers a rare glimpse into the human history of the Galapagos; Isabela Island was once home to an Ecuadorian penal colony, and construction of the Wall of Tears was a form of punishment. Some locals think it’s haunted! The Arnaldo Tupiza Breeding center is a highlight of any visit to Isabela Island. Here, giant tortoises of the Isabela Island subspecies are hatched and cared for until they can survive on their own in the wild. Hundreds of adorable baby tortoises slowly move about in raised pens, designed to protect them from predators including rats and ants. Even the walk to get to the breeding center from town is fun, as it is connected to Puerto Villamil by a boardwalk over some marshy wetlands where sightings of flamingos and other water birds are common. Elizabeth Bay and the small, rocky islets which are found there are home to many spectacular species of Galapagos bird life, including penguins, the Galapagos hawk, Nazca boobies, finches, flightless cormorants, warblers and more. In the clear sea below, visitors see thriving marine life, including schools of fish, spotted eagle rays, sea lions and marine iguanas. Elizabeth Bay is only seen by panga ride: visitors do not land at all. In 1954, volcanic activity deep underground rocked Isabela Island, thrusting up part of Urbina Bay. The bay’s landscape changed overnight, gaining five meters in height and a kilometer of soggy land that had previously been underwater. Visitors can still see desiccated coral formations on the trail around part of the bay. Urbina Bay is home to abundant wildlife, including land iguanas, giant tortoises, and lava lizards. Birdlife includes finches, hawks, and mockingbirds. The hike, a relatively long one at 3000 meters, is followed by a refreshing swim or some snorkeling in the bay. A visit to Tagus cove includes a short hike to a scenic outlook and a panga ride along the coastline to look for penguins. After the hike, guests may choose to do some kayaking and snorkeling, where they are almost certain to see sea turtles. 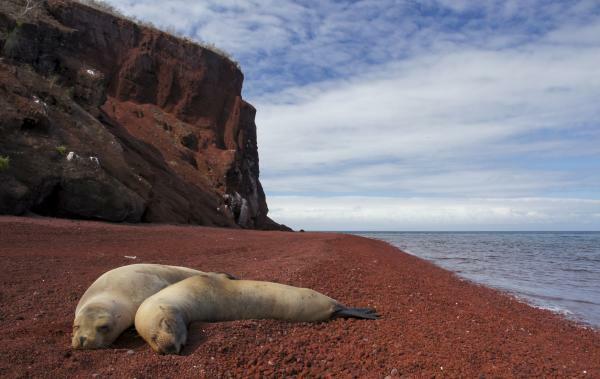 Punta Espinoza is one of the most remarkable visitor sites in all of Galapagos. 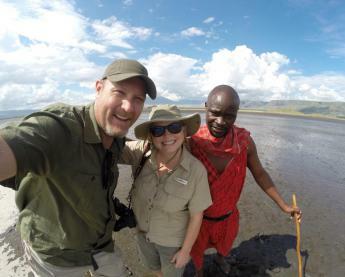 This memorable hike includes good wildlife watching as well as geology and many spectacular spots for taking photos. Guests walk over recent (geologically speaking) lava flows, see a nesting colony of flightless cormorants, and step gingerly through a low maze of marine iguanas sunning themselves. Look for lava lizards, Galapagos snakes, and Galapagos Hawks. Playa Espumilla (“Foamy Beach”) is a pristine sandy beach on the northern part of Santiago Island. At either end of the beach, trails lead through some mangroves to a salty lagoon, where lucky visitors may get to see flamingoes, pintail ducks, stilts or other wading birds. There is good snorkeling and kayaking off the beach. The islands are so beautiful that it’s possible to forget about their interesting human history. Although there is nothing left of their presence (no buried treasure – sorry! ), pirates and whalers used to stop in Buccaneer Cove to repair their ships, take on fresh water and capture tortoises for food. There is no trail here, but it is a good spot for a panga ride, snorkeling, and kayaking. As the panga cruises along the shore, look for blue-footed and Nazca boobies, fur seals, sea lions, and Galapagos hawks soaring overhead. Rabida is a remarkable island, famous for its cactus groves and scenic rock formations. Finches and other small land birds are commonly seen flitting around the cacti alongside the trails. The hike starts along a red sand beach where brown pelicans nest in mangroves. 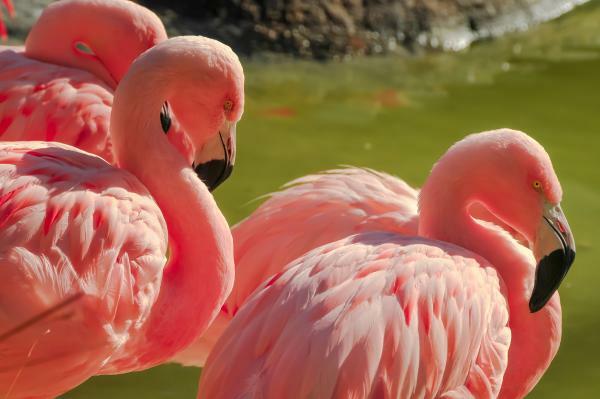 Short trails lead from the beach to some lagoons where flamingos are sometimes seen. After the hike, visitors can cool off with a swim or some snorkeling. Lucky snorkelers and kayakers see fish, sea lions and turtles. In the morning, visit Mosquera, a small islet found between Baltra & North Seymour Islands. Lava gulls, sea lions, Sally Lightfoot crabs inhabit this sandbank with an extension of over 600 meters. 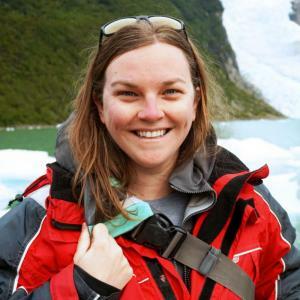 It also hosts the largest populations of sea lions and orca whales that can be seen occasionally depending on the season you visit the islet. 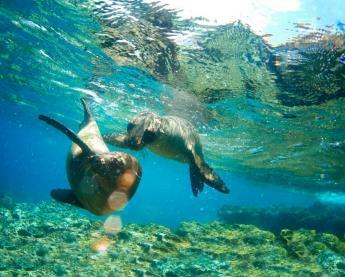 Galapagos Specials- Book now and receive $360 off per person. If booked before April 30, 2019 Select departures only. Contact us for details.